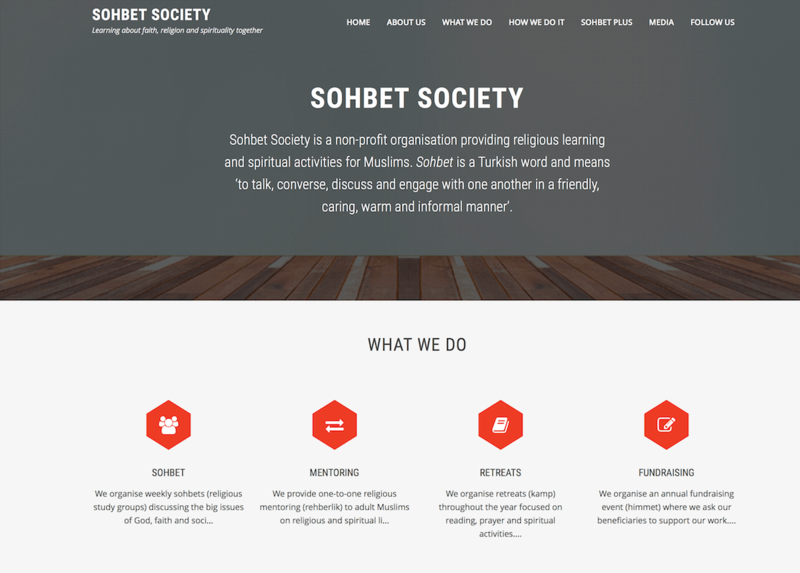 Sohbet Society is a non-profit organisation providing religious learning and spiritual activities for Muslims. Sohbet is a Turkish word and means ‘to talk, converse, discuss and engage with one another in a friendly, caring, warm and informal manner’. In our context, we use the word sohbet to mean to converse with one another in a study or discussion circle on the big questions of God, purpose, meaning, faith, religion, and society. Through Sohbet Society, we provide opportunity for religious learning and spiritual growth and development for Muslims in Britain. We achieve this through a series of activities including study groups, mentoring, outreach, retreats, excursions and social action. Religious and spiritual learning is achieved through semi-structured study groups as well as practical experiences such as social action and retreats. In all, we aim to offer a friendly, positive and constructive form of authentic religious expression and an environment for genuine spiritual experience that speaks both to the mind and heart, to the personal and social needs of the individual. We believe this nurtures a religious understanding and spiritual mindset that emphasises peaceful social relations and respect for human diversity and dignity.